The beautiful Canadian Rockies represent a small but magnificent part of the vast chain that runs virtually the whole length of the North American continent. Many of the scenic areas have been designated national parks and this trip visits the most famous and spectacular of these. The extensive network of trails through these parks allows quick, if sometimes strenuous, access into some superb high mountain and glacial scenery, with the added bonus of a multitude of alpine flowers as well as wildlife such as eagles, deer, moose and bear. 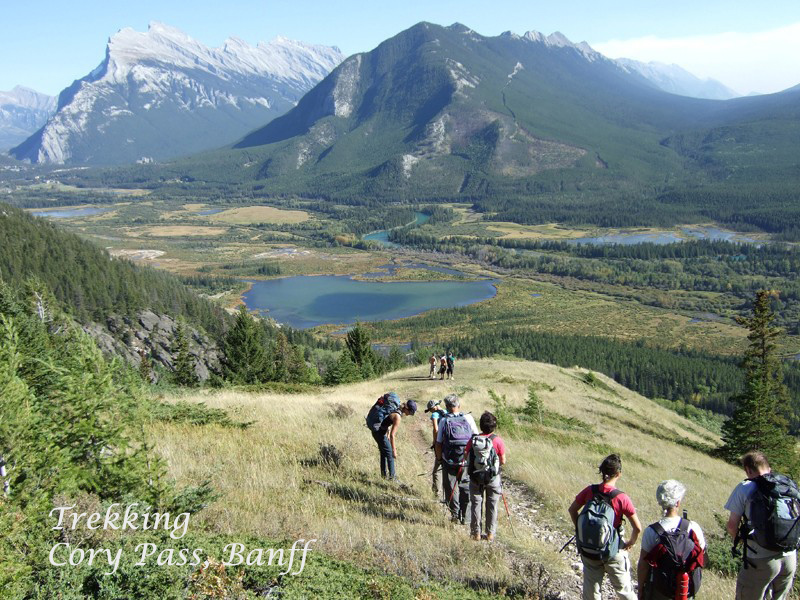 Encounter Expeditions Trekking the Rockies is an exciting way of experiencing everything that this vibrant and exhilarating destination has to offer. Canada offers a wealth of activities and adventures for the intrepid traveler, allowing you explore the environment and the culture in a challenging and rewarding way. Canada's Rockies line up a supreme vision of the wild and offer a multitude of optional activities. Trek through the Canadian Rockie Mountains while mountain biking; white water rafting; sea kayaking; wilderness canoeing; or any number of other exciting modes of adventures. And because all of the activities are optional, you can pick and choose the course your adventure will take.